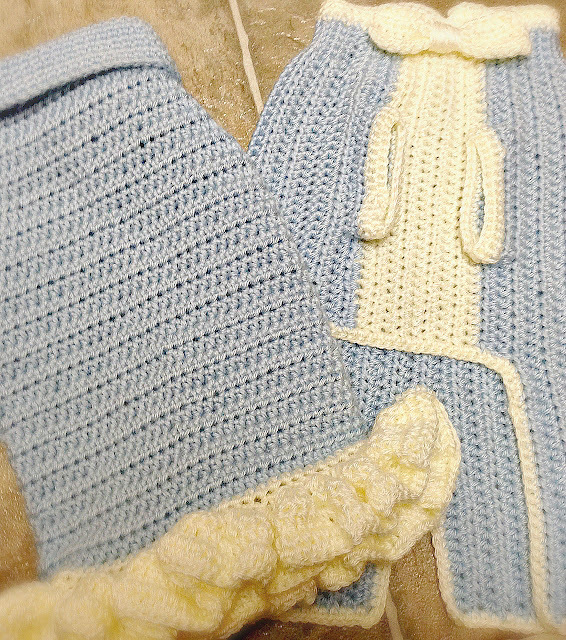 Alright, so, not so much on the great crochet progress to show you this week. It was the week following Easter, and as I work at a church, it's a pretty crazy time for me and the week totally flew by. I also got an order in from the UK (my first international order, woo! ), so I spent some time working those up. Aren't they cute? It's a matching set for bro/sis chihuahuas who have been invited to a wedding in June. Too funny! As far as Artisan's Market progress... I did finish the tuxedo I was working on last week. And I love the colors in it, especially the little pink bow tie - gets me every time. And that's all that I have to show you this week! On a normal week, it'd be pretty good - problem is that time is ticking down and I still have so much to do! I've asked my husband to hold me to my new personal rule: "If I'm sitting down, I should be crocheting". We'll see how that goes! 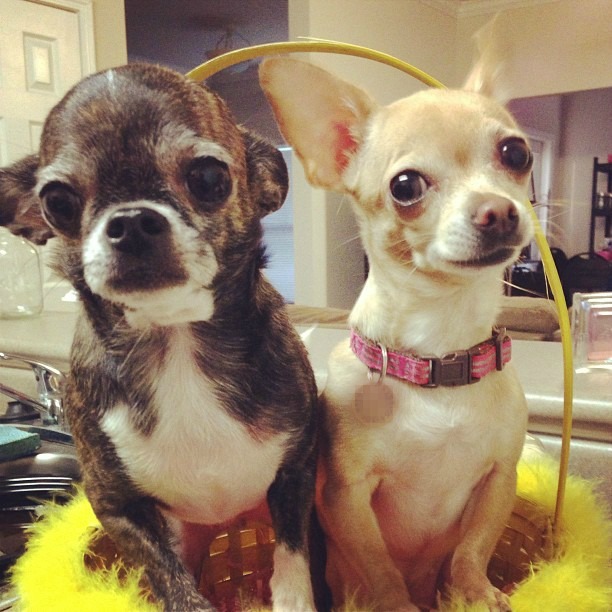 Oh, and also - Happy Late Easter from the little ones!